Is a comprehensive cardiology clinic offering expert cardiovascular assessment and treatment in all situations 24 hours a day. 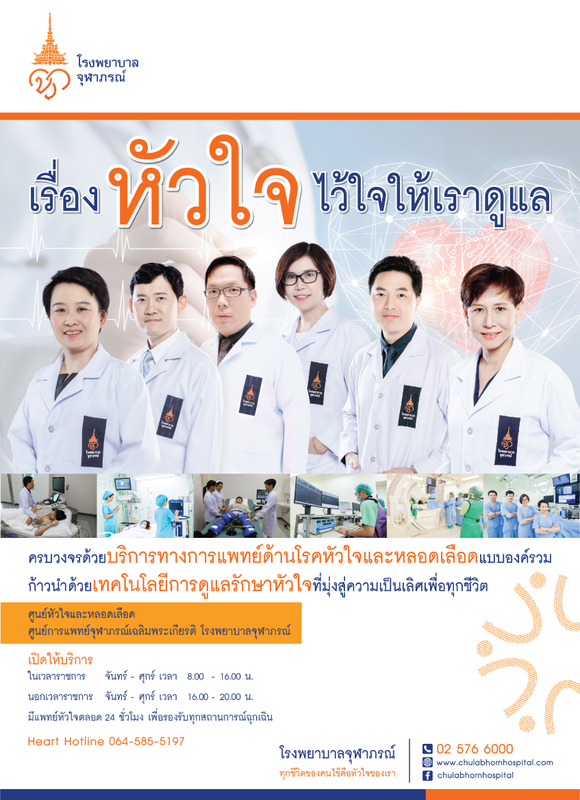 In Thailand, cardiovascular disease is the second largest leading cause of death behind cancer. 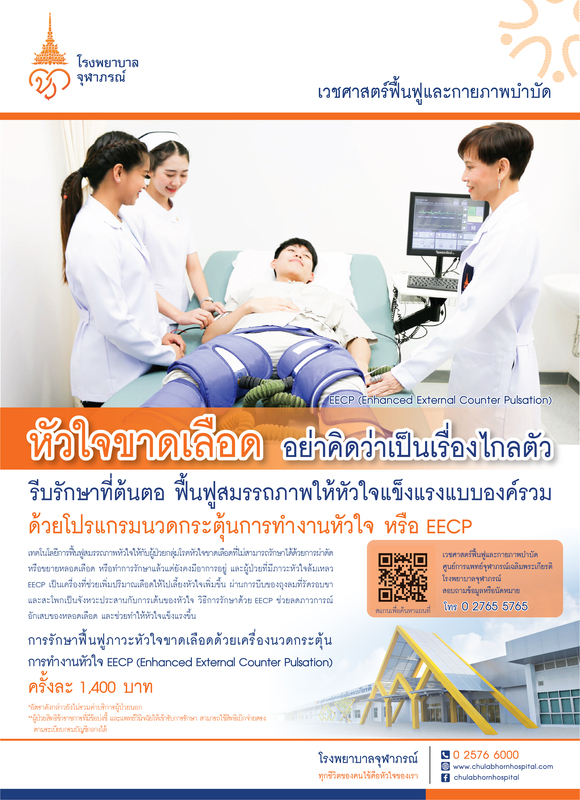 The center offers non-invasive diagnostic procedures, treatment programs developed using the latest laboratory technologies in cardiac catheterization, and single-cardiac catheterization x-ray which is on of the most modern and the first in the ASEAN region allowing cardiologists to provide accurate diagnosis and develop the most appropriate treatment programs. 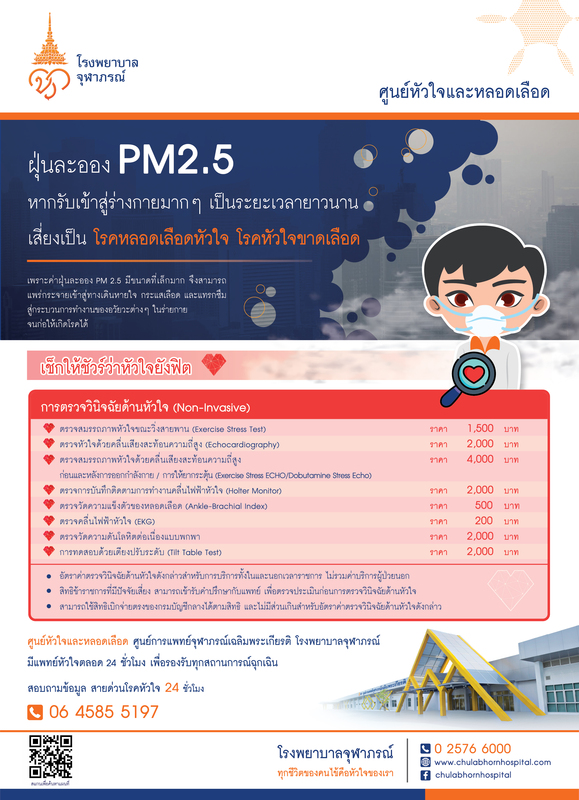 ในเวลาราชการ 08.00 - 16.00 น. นอกเวลาราชการ 16.00 - 20.00 น.